Our aplonAPI™ API Management Platform is a modern, PSD2 compliant, API Management Framework. 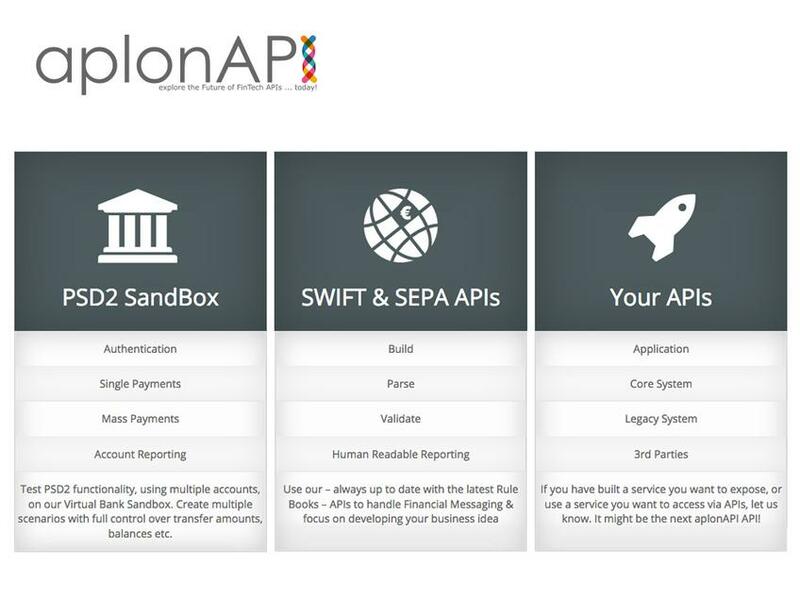 The aplonAPI™ empowers Financial Institutions to Build, Manage & Distribute their own APIs. Using aplonAPI™, forward thinking Banks, establish a Banking as a Platform (BaaP) technology stack, enabling them to deliver next generation FinServ & FinTech Services to their customers. is there an API that help people connect and make payments?